More people are opting for elliptical cross trainer machines as they are great for getting in all important cardio exercises. These machines have various resistances, setups, and modes to help you reach your fitness goals whatever they may be. The problem is that there are hundreds of machines in the market.It can be hard to figure out which one is the best elliptical cross trainer available. That’s why we’ve went through many models and decided to list the best elliptical cross trainer based on different price levels, features, . We’ve made sure that these were quality machines that have been well received by customers. 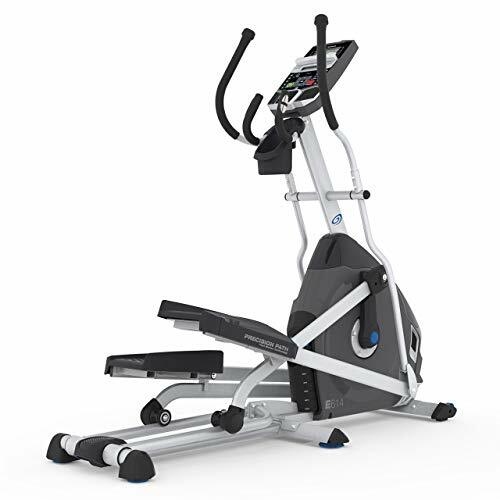 The Exerpeutic 1000XL is a lower priced elliptical that provides a solid performance without taking up too much space. It has an LCD computer that tracks your progress such as distance, burned calories, time spent, and pulse. It has an eight-level resistance range and can support a weight capacity of 300 lbs which should be enough for the average person. Many customers report that the machine has performed without any problems. Nonetheless, you’ll feel reassured by the company’s three-year warranty. Best recommended for: People who are looking for the best elliptical cross trainer in the lower price range. This is a solid buy, especially with the warranty. This machine is a great value for its price. 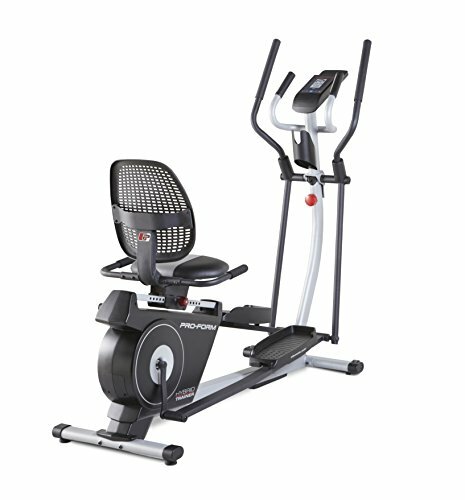 The ProForm Hybrid Trainer is a solid elliptical machine in the mid-price range. As its name suggests, it’s a hybrid made of an elliptical machine and recumbent exercise bike. The machine has a weight capacity of 350 lbs with adjustable pedals that will make it fit for a wide range of users. It comes with an LCD screen that has various fitness tracking functions. It also has a tablet holder, water bottle holder, and soft grips for comfort. The company offers a five-year warranty for extra assurance. Best recommended for: People who are looking for a hybrid between an elliptical cross trainer and an exercise bike machine. The Nautilus E614 Elliptical Trainer is a product that’s in the mid-price range. The machine has a weight capacity of 300 lbs with 20 levels of resistance. What makes this machine stand out from the crowd is that it has a large number of fitness programs and tracking options. It’s also designed to be very comfortable, offering a bigger stride length for taller individuals, six different ramp adjustments, and large cushioned pedals. Many features like in-console speakers, MP3 connectivity, and a detailed LCD round up the rest of the machine. Best recommended for: People who are looking for an elliptical cross trainer that is comfortable and has many advanced features. 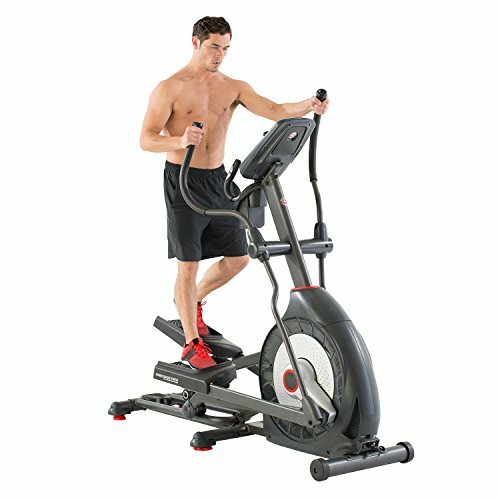 The Schwinn 470 Elliptical Machine is a product that’s in the lower part of the upper-price range. The machine has a weight capacity of 300 lbs and 25 levels of resistance. This means that a wide range of users can really get the resistance they’re looking for. It also has a very good computer that offers 29 different programs and Bluetooth connectivity. Finally, the adjustable ramp also offers various incline angles so that you can hit different muscle groups. Best recommended for: People who are looking for an elliptical cross trainer that can meet the needs of multiple users. What makes it the top of the line machine is the fact that it is incredibly smooth. It has a fluid motion in both directions and is very quiet. On top of that, this model also has an adjustable incline from 0 to 30 degrees. There’s also a 20 to 22-inch stride length, making it great for a wide range of heights. It comes with all the advanced features you’d expect from the LED. It also has a very generous warranty with a 10 year length on the frame. Best recommended for: People who want a top of the line machine that delivers an outstanding performance. Hopefully, our list will help you find an elliptical cross trainer that’s right for you. We’ve identified the best elliptical cross trainer in each price range. The pros and cons of each model have been laid out so that you can make a strong purchase decision.